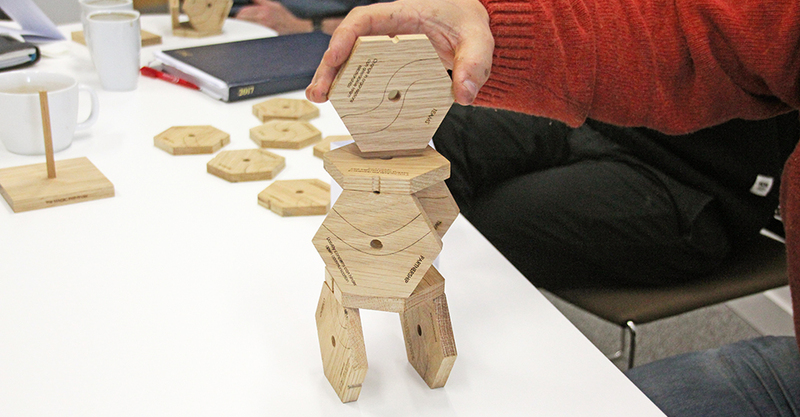 Produce a ‘thinking object’ as a playful tool in response to findings from the Creative Data designed Hi-VIS workshop at the Environment and Sustainability Institute at the University of Exeter’s Penryn Campus, in Cornwall, UK. 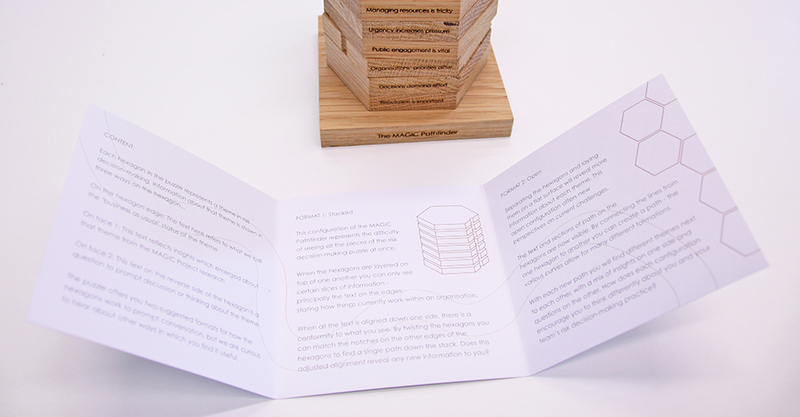 In the bespoke workshop, designed and delivered by me and Lucy Hubble-Rose in October 2015, risk decision-makers mined their experience to find new opportunities and ways of working in relation to their personal and professional understandings of risk and vulnerability. With the MAGIC Pathfinder we wanted to visualise and make tangible an under-discussed topic in organisations, which is that of 2nd order risks in emergency decision-making – that is to say, the inter-personal dimensions of risk scenarios, which often go unexamined in relation to the 1st order risk, which is the serious incident such as coastal flooding, an oil spill, or a public transport incident. 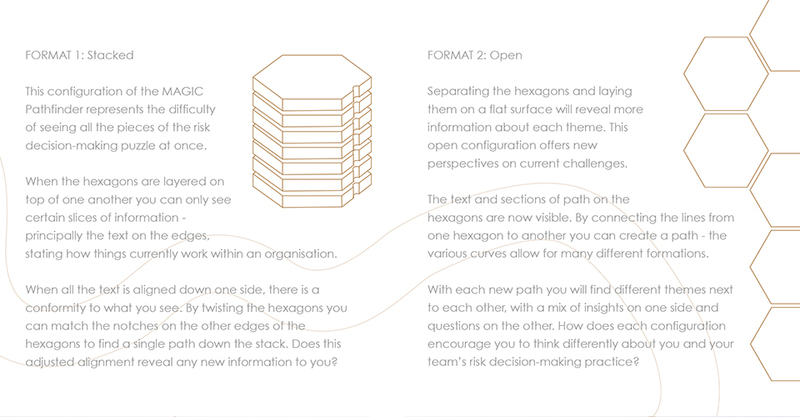 Each hexagon of the pathfinder is dedicated to one aspect of 2nd order risks and the puzzle is designed to prompt discussion and reflection around the challenges people are facing in these areas. 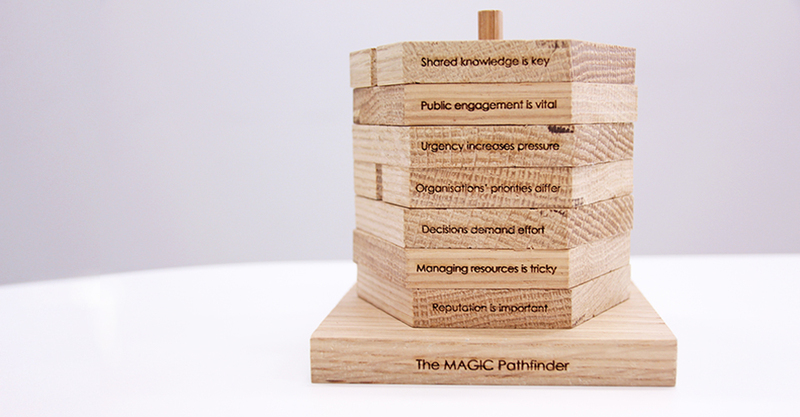 This thinking object – The MAGIC Pathfinder – is designed to promote reflection and encourage professional development. 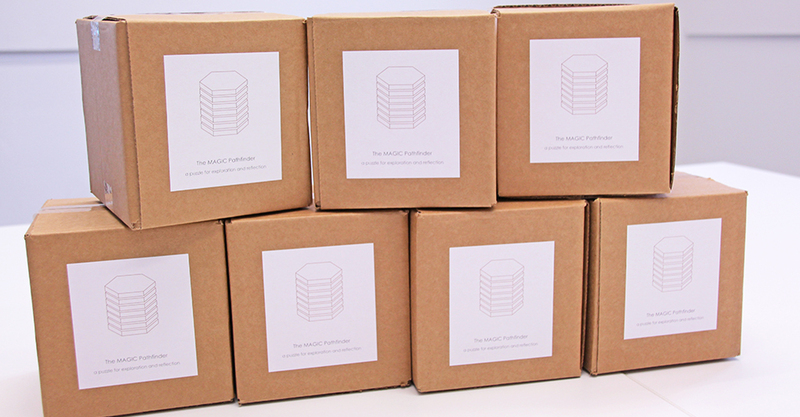 It can be used individually or in a group. 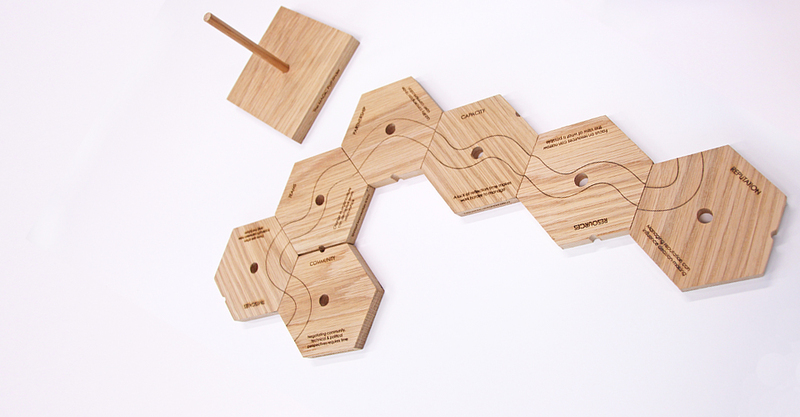 The design of the puzzle enables exploration of specific challenges, while also assisting the evaluation of risk decision-making practices as a whole. 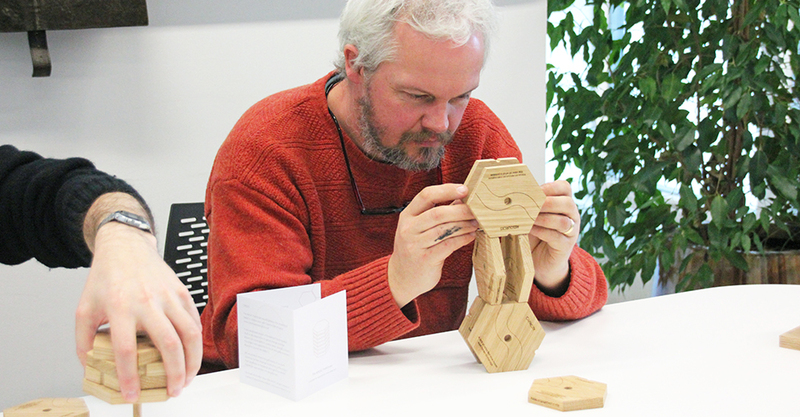 Playing with a physical 3D object like this can help you process thoughts in new ways and spark fresh ideas. 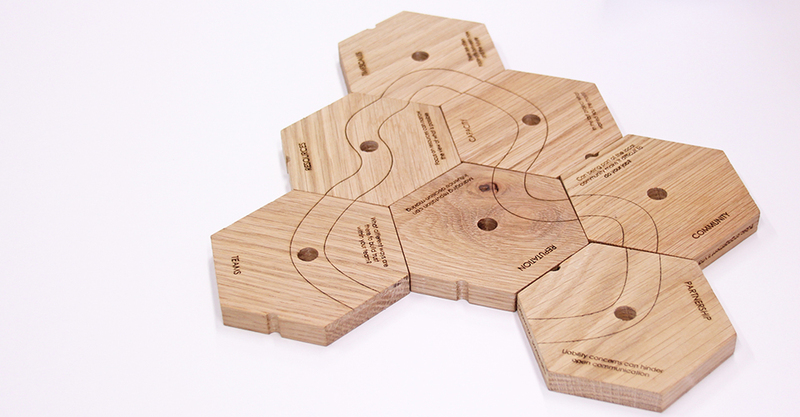 The puzzle is made from oak, using digital manufacturing technologies such as a CNC Router, which cut out the hexagons and made the notches in the side of them, and laser etching, which burns the lines and text into the surfaces.